Perhaps one of the biggest dangers for seniors living alone is physical injury from slips and falls, especially when immediate help isn’t available. When accidents happen and there is no one around to help a senior get back on his or her feet, a simple bump in the head can quickly turn into a life-threatening condition. This is why it is critical for them to stay in good health so as to avoid slips and falls. Maintaining a healthy diet and engaging in regular exercise and even getting involved in health groups are all great ways to keep healthy and maintain an active social life, which can constantly check upon their wellbeing. An emergency alert system for seniors can provide the same benefit, allowing caregivers and adult children to keep an eye on their elderly even while away. 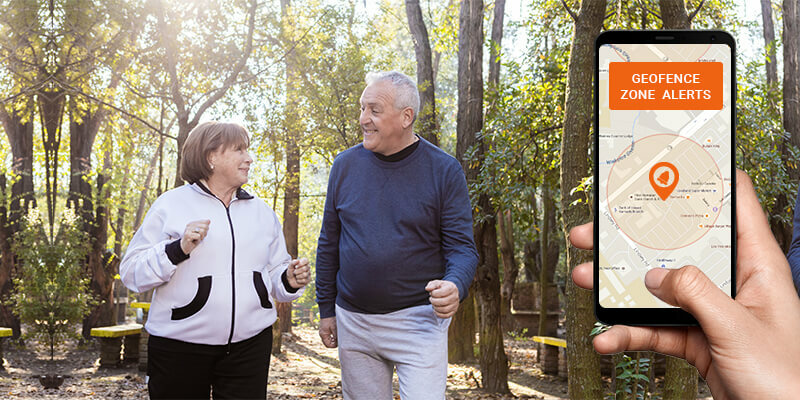 With a free phone tracker app, caregivers for the elderly can monitor an older person’s activities, while providing alerts about their whereabouts as well as life-threatening conditions and incidents. A senior alert system can be configured to detect impact from slips and falls as well as from vehicular accidents, which can be extremely beneficial when trying to keep seniors safe from injury. With an alert system, help can be on its way immediately, preventing minor slips and falls from becoming a life-threatening situation. (4) phone activity tracker to help you detect inactivity and/or suspicious activities from your loved one’s mobile phone.